Mr. Register’s career has spanned more than 40 years. During that time he has been a principal in several successful engineering firms specializing in civil, mechanical and electrical, coastal and oceanographic engineering, and marina design and construction. 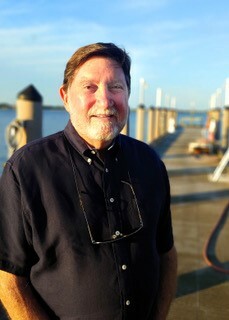 He has been responsible for the design and permitting of over 2000 marina slips at sites throughout Florida and the Bahamas. He has developed specialized expertise in environmental permitting, and in waterfront community development and redevelopment. Mr. Register’s background in construction and construction management has enhanced his ability to implement budget and cost controls during the design and construction process of many large civil engineering projects. Mr. Register has extensive experience in both engineering and project management and has led numerous multi-disciplinary teams in the development of successful projects. Currently his focus is on the design, permitting, manufacturing, and installation of residential fixed and floating docks, and commercial marinas. Register Marine has been organized to achieve these goals using all polymeric materials.